Free 50MB of WiFi internet when you check-in! 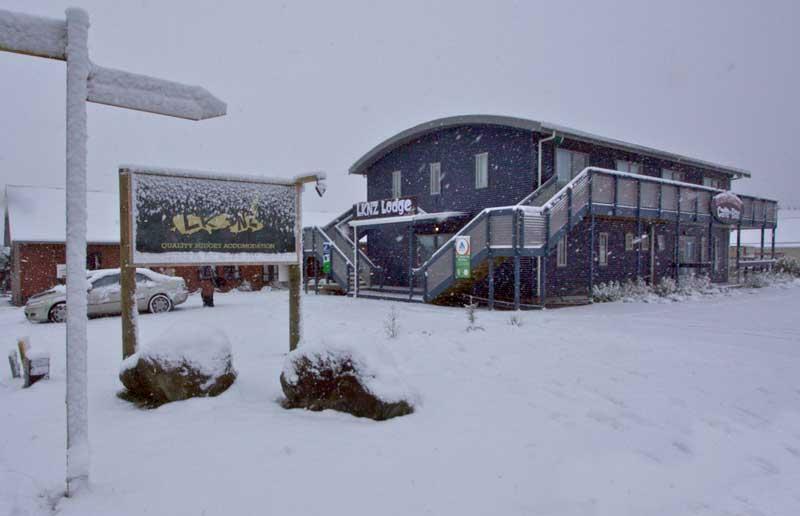 LKNZ Lodge is in the township of Ohakune and situated right on the doorstep of the Tongariro National Park. LKNZ provides quality accommodation to suit all budgets, from En-suite Studios and Flashpacker Rooms to Budget Cabin Dorm Beds spread over three lodges. All Bedding is provided and Towels are available to hire. We also have Storm Shelter; a licensed Cafï¿½ & Bar onsite, which is a great place to catch up with people about the day with a coffee and treat yourself to a great breakfast, toasties or snack or relax with one of our cheap drinks, cocktails and even a Shisha. Shuttle service provides daily transport to the Tongariro Crossing, Ruapehu ski fields, and other walks. Ride the Ohakune Old Coach Road and check out AJ Hacketts first NZ bungy jump off the Hapuawhenua viaduct in 1987. Do a guided or freedom hire canoe adventure along the idyllic Whanganui River and check out the Bridge To Nowhere. With action packed activities in the area all year round the LKNZ crew has loads of local knowledge to share with all of our guests and can organise and book you in for what you choose to experience during your stay. LKNZ Lodge has magnificent views of Mt Ruapehu. Supermarket, restaurants and bars, rentals and shops all within a 2 minute walk. Just a 20 minute drive up the mountain to Turoa ski field and only a further 20 minutes to Whakapapa on the other side of the mountain. LKNZ Lodge facilities include: four fully equipped kitchens, laundry and drying room, central heating, dining and lounge areas with pool table, high-speed wireless internet, three TV rooms with movie library, BBQ area with hammocks and fire pit and free off street parking with CCTV. Our Mountain View Lodge, is modern and has all its facilities under one roof with bathrooms outside each room. It contains 4 Beds Dorm Rooms, Queen and Single Rooms and 5 Bed En-suite Rooms with coffee making facilities. 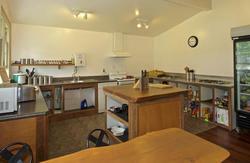 The building has two modern kitchens and two lounge areas including a T.V with Freeview, D.V.D and USB access. Matai Lodge contains private doubles with bunk set, 4 beds dorms rooms. Its unique wooden bunks, retro feel and log fire in main lounge area make a great option for groups. Our Back Lodge is older and has a slightly rustic feel to it. The Back Lodge has shares the same facilities with Mountain View Lodge, with the exception that the majority of rooms are cabin style, and the bathrooms require a short covered walk outside to get to them. Our back lodge contains Twin Rooms, Doubles, Triples and 6 Bed Dorm Rooms. Come let the LKNZ Crew make your time in Ruapehu awesome! We are located along State Highway 49 on the corner of Clyde & Rata Streets, Ohakune. Travelling by car on State Highway 1, at Waiouru turn off onto state highway 49 for Ohakune. Alternatively travelling along State Highway 4, turn off onto state highway 49 which will bring to Ohakune.